*Prices are indicative and depend on the current gold price, the current EURO/DOLLAR exchange rates, and ring sizes. Shipping costs included, US and Canadian tax rates excluded. 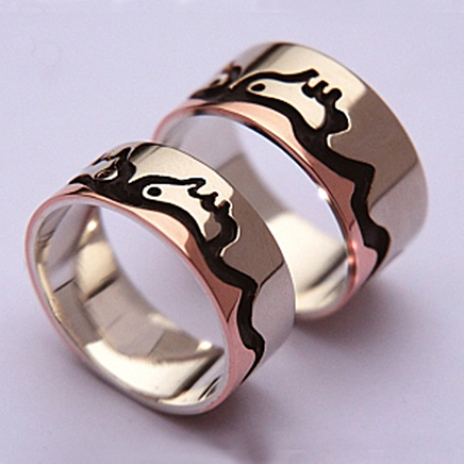 > Visit Zhaawano's art blog to read the story behind the ring set.